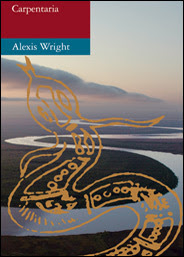 When “Carpentaria,” Alexis Wright’s epic novel about Aboriginal life, appeared last year, readers in Australia were slow to warm to its magisterial yet colloquial voice, which transformed the oral tradition of the country’s indigenous people into a swirling narrative spiked with burlesque humor and featuring a huge cast of eccentric characters. Despite highly laudatory reviews, Wright’s 500-plus-page tale of the tortured relations between blacks and whites in the sparsely populated desert country around the Gulf of Carpentaria in northern Queensland languished on bookstore shelves. With a few exceptions, the independent bookstores run by political liberals, who have often expressed embarrassment at the sorry treatment of Australia’s indigenous people, were reluctant to promote it. Too difficult stylistically, said the salespeople at the Macleay Bookshop and Bookoccino, two of Sydney’s top literary outlets, where Wright’s novel was hard to find in the months after its publication. But today “Carpentaria,” published by the small literary house Giramondo after it was rejected by every major publisher in Australia, has become a literary sensation. It is in its sixth printing, with sales of 25,000 copies, far above the usual 2,000 to 3,000 for a literary novel here. In June, the book won the country’s most prestigious prize, the Miles Franklin Literary Award, beating out Peter Carey’s “Theft” and other novels by more established writers. Wright, 56, the author of a previous novel, “Plains of Promise,” has also taken several other prizes for “Carpentaria,” including the Australian Literature Society Gold Medal. Read the rest of this essay from The Sunday edition of The New York Times.